During the month of November the Morrow County Sheriff’s office holds a food drive for a local food pantry. This year the department chose Edison Enterprise Baptist Church’s food pantry. 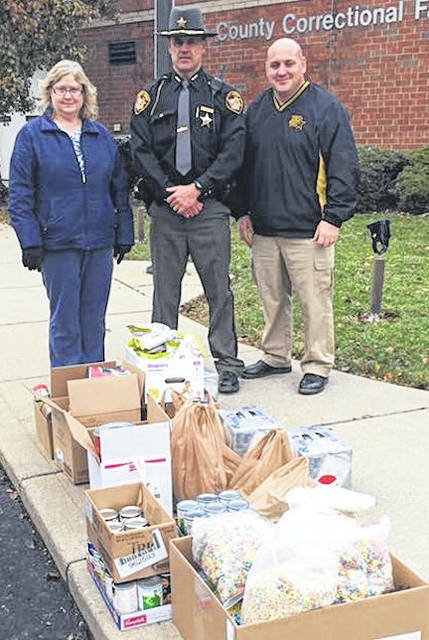 Pictured is Donna Ward of the Edison Enterprise Baptist Church food pantry, Deputy Troy Ebert and Sheriff John Hinton with the food collected for the food pantry. The department thanks the Sheriff’s Office employees, county employees and the public who donated items to this food drive.